Jersey director of rugby Harvey Biljon says his side will have a 'rollercoaster' season as the club's 16 new signings gel together. 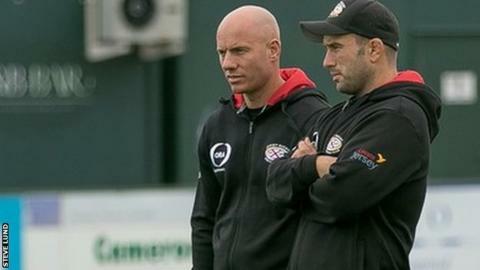 The islanders lost 31-27 at Doncaster on Saturday and are third-from-bottom in the Championship. "We said from the outset that it's going to be another rollercoaster because this team needs to learn and get together," Biljon told BBC Jersey. "We want to make sure the players learn as quickly as possible." Biljon's side saw an 11-point lead early in the second half slip away at Castle Park for their second loss in three games. "I'm not disappointed with our players, they put in a very valiant effort away from home but it comes down to some crucial areas where we missed taking our opportunities to score points," Biljon added. "Doncaster's a tough place to come, our players have put in a pretty big shift, we've just got to make sure we learn and we do turn around what we'd transferred over in the second half of last season and hope that a couple of things go our way."